This white blues-band simply burst onto the New York music scene between 1965 and 1966. Group member Katz had previously played with The Even Dozen Jug Band, whilst Flanders had been in the Boston-based Trolls. In his early days, Al Kooper was a Tin Pan Alley/Brill Building production writer (This Diamond Ring, Who Wears Short Shorts, etc.) and was with Bob Dylan on Highway 61 Revisited and Blonde On Blonde, playing the organ in a way that would influence many American and English groups. Kooper kept on doing sessions with New York based singers during his stay with the group. The band were offered a residency at the Cafe A Go Go in Greenwich Village in 1966. Here, their first 'live' album was recorded and highly acclaimed. The band were one of the city's main live attractions playing three concerts in Central Park in the same year. Flanders left before follow-up albums Projections and At The Town Hall which also found the band in fine form. Incidentally, Projections was produced by Tom Wilson. Unfortunately, friction developed in the band, with Kooper and Katz eventually leaving to torm Blood, Sweat and Tears. Their next effort Planned Obsolescence, hinted at what was to become Seatrain, including one track entitled Nairt Aes Hornpipe ("Seatrain" backwards). After it's release Kulberg, Greene, Kretmar, Gregory and Blumenfeld moved to the West Coast to form the first Seatrain line-up. 1971 saw Kalb and Blumenfeld attempting to revive the group with Flanders, Kretmar and David Cohen (ex-Country Joe and The Fish). This lineup recorded the under-rated Lazarus in London, under the guidance of Shel Talmy. Guitarist Lussenden was added for the Blues Project album. The band eventually split in 1972, but were reunited in early 1973 for a one-off gig in Central Park which MCA recorded and released on an album. 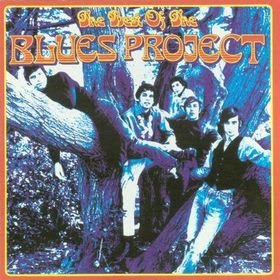 The Blue Project are usually considered one of New York's finest bands and their first three albums (two of which capture their exciting 'live' sound) are recommended if you can obtain them. Tommy Flanders left the Blues Project at the request of Verve Records, who wanted to pursue his career as a solo artist, but dropped him after his first recording, the splendid Moonstone (Verve Forecast FTS-3075) 1969. After the group finally disappeared, he moved to California and left the music business to pursue a career as a male model for catalogues and later worked for an advertising agency. In 1969, Danny Kalb issued an excellent blues album with another ex-Even Dozen Jug Band member, Stefan Grossman, Crosscurrents (Cotillion SD 9007) and also backed the blues singer Jimmy Witherspoon on his Bluesway albums. Of fragile health (apparently reinforced by an involuntary "chemically induced" nervous breakdown in 1969), Kalb did not perform for nearly five years, only coming out of his hiatus to perform at the Live At Central Park Reunion, and record the two reformation albums. 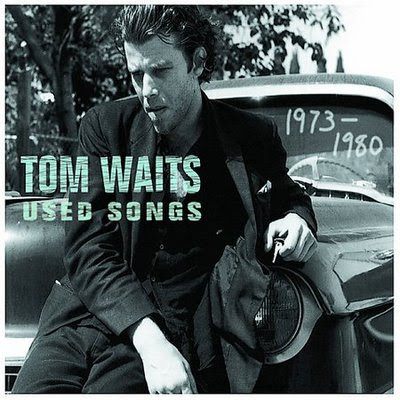 He stopped recording between 1973 and 1993, until the release of an acoustic blues album in France on Legend Records. Roy Blumenfeld kept on doing sessions with Mark Spoelstra and many others. He is still recording with Nick Gravenites (Don't Feed The Animals, 1994). 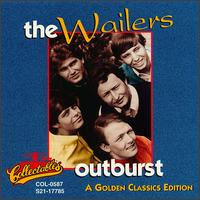 No Time Like The Right Time their best known song can be found on Lenny Kaye's Nuggets, compilation and on Nuggets, Vol. 11. 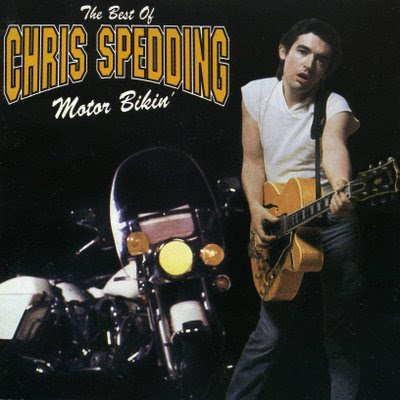 Spedding was born on 17 June 1944 in Sheffield. He is best known as highly-rated session guitarist. He joined Peter Brown's Battered Ornaments in 1967 having previously been in various obscure dance and jazz bands. After they split in 1969 he recorded his first two solo albums, though they made little impact. His debut album, produced by Andrew King, was a very disappointing effort influenced by Bob Dylan and The Byrds, but most of the material was directionless. The second was slightly better. There was also a third Songs Without Words, which only got released on the Continent. He was also with the short-lived Sounds Nice in 1969. In 1971 he joined The Jack Bruce Band playing on both his solo albums. He also had an eighteen month spell with Ian Carr's Nucleus before concentrating on session guitar work with Lulu, John Cale and Dusty Springfield among others. In Autumn 1972 he formed Sharks with ex-Free bassist Andy Fraser and enhanced his reputation as a rock guitarist considerably during his stay. After their demise in November 1974 he again returned to session work, touring with John Cale and Roy Harper before signing to Mickie Most's RAK label. This lead to a dreadful commercial punk-type single Motor Bikin', which got into the Top 20 (there's no accounting for taste). This was followed by the inevitable solo album. He also played with Bryan Ferry in 1976. He went on to record further solo albums and was a 'member' of The Wombles!, but it was as a session guitarist that he performed best. Mean And Moody, released in 1985, compiled material from his two Harvest albums. Eight tracks were taken from Backwood Progression including the opening instrumental 'overture' For What We Are About To Hear which leads into the title track itself. The remaining seven tracks are from The Only Lick I Know, including the rockin' title track, the country/soul influenced Dark End Of The Street and the upbeat White Lady. The album also came with a detailed appraisal of Spedding's career written by Roger Dopson. One of the most commercially successful rock bands in Poland in 60s and 70s, Skaldowie was founded in Krakow in the summer of 1965 by Andrzej Zielinski (piano, organ, vocals), Jacek Zielinski (vocals, trumpet, violin), Feliks Naglicki (bass),Zygmunt Kaczmarski (guitar, vocals), Janusz Kaczmarski (guitar) and Jerzy Fasinski (drums). Easy-listening pop songs with catchy melodies, strongly influenced by Polish musical traditions, made the band an immediate success even before they made first recordings. Skaldowie won four grand prix at the National Song Festivals in Krakow and Opole in 1965 and 1966, appeared in TV series ‘Listy Spiewajace’ (‘Singing Letters’) and two movies: ‘Mocne Uderzenie’, premiered in 1967, and ‘Cierpkie Dlogi’, premiered in 1966. However, the ambition of Zielinski brothers to add even more folklore elements to band’s music caused an internal breakup. Fasinski and Kaczmarski brothers left to follow Western music fashion. In came Jan Budziaszek (drums), Marek Jamrozy (guitar) and Tadeusz Gogosz (bass). Further personnel changes followed in late 1967 with Naglicki and Gogosz leaving, and Jerzy Tarsinski (guitar) and Konrad Ratynski (bass) coming in. Skaldowie started the next year with another movie score, further national festival appearances and first tour of USSR. 1968 promised to be highly successful, but band’s story nearly ended in midsummer’s car accident. However, all members survived, and by the end of the year band was again ready to tour and record. Early 1969 saw the release of band’s own documentary movie and third LP – ‘Cala jestes w skowronkah’ (usually translated as ‘They Say You’re In Love With Larks’), probably the best of their pop releases. USA and Kanada tours followed. Skaldowie came home only in early 1970 with newly-bought ‘Hammond’ organ and new ideas for their first progressive album – ‘Od wschodu do zachody slonca’ (‘From Sunrise To Sunset’), thus starting a tradition of releasing innovative progressive and easy-listening pop LPs in turns. Early 70s brought more success with UK and West Germany tours, the latter including appearance at 1972 Olympic games in Munich, and release of ‘Krywan Krywan’ – one of the most exciting progressive albums in history Polish music. However, a concept of simultaneous release of pop and progressive albums, winning at the beginning, failed by mid 70s, and by that time Skaldowie almost lost a sense of musical direction. All late-70s albums seem but a pale copy of early releases. Band went to USSR again in 1980 to perform at Moscow Olympic games and recorded still unreleased double album ‘Zostaw to mlodszym’ (‘Leave it to the youth’). Their story ended later that year with A. Zielinski’s decision not to return home from another USA tour. A quartet, probably originating from the Hamburg-area. 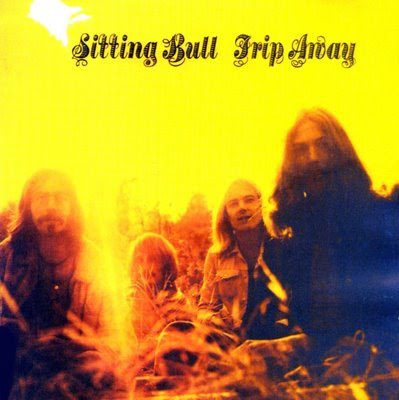 In 1971 their album Trip Away, containing 10 tracks in all, was recorded at the legendary Windrose Studio in Hamburg. Most of them had a laid-back, American West Coast feel, in some ways comparable to the music of Quicksilver Messenger Service. Their sound was dominated by electric and acoustic guitars with occasional keyboards. I haven't got the names of the group members, as they weren't mentioned on the record sleeve! An original copy should be yours for about 75 DEM. The group also released three singles: "Hopeless Love" coupled with "Indian Fate" (1971) was taken from their album, "Sleepy Tom-Tom" coupled with "Raindrops" (1972) and "Motorcycle Mama" coupled with "Your Lovin' Man" (1972) were two rarities released on Phillips. The Shangri-Las were an American pop girl group of the 1960s. Between 1964 and 1966 they charted with often heartbreaking teen melodramas, and remain known for "Leader of the Pack" and "Remember (Walkin' in the Sand)". The group was formed at Andrew Jackson High School in Cambria Heights, a part of Queens in New York in 1963. They consisted of two sets of sisters: Mary Weiss (lead singer) (born 1948 (age 60–61)) and Elizabeth "Betty" Weiss (born 1946 (age 62–63)), and identical twinsMarguerite "Marge" (1947-1996 (aged 48–49)) and Mary Ann Ganser (1947-1970 (aged 22–23)). The girls often appeared as a trio, Betty Weiss rarely on stage until late 1965, preferring to avoid touring. They began playing school shows, talent shows and teen hops, coming to the attention of Artie Ripp, who arranged the group's first record deal with Kama Sutra. Their first recording in December 1963 was "Simon Says", later issued on the Smash label, on which Betty Weiss sang lead. They also recorded "Wishing Well" / "Hate To Say I Told You So", which became their first release in early 1964 when leased to the small Spokane label. Initially, the girls performed without a name. 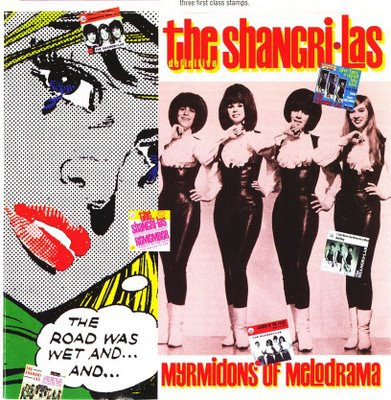 But when they signed their first deal, they began calling themselves the Shangri-Las, after a Queens restaurant. Some discographies list The Beatle-ettes and The Bon Bons, who both issued singles in 1964, as early versions of The Shangri-Las. However, they are different groups. 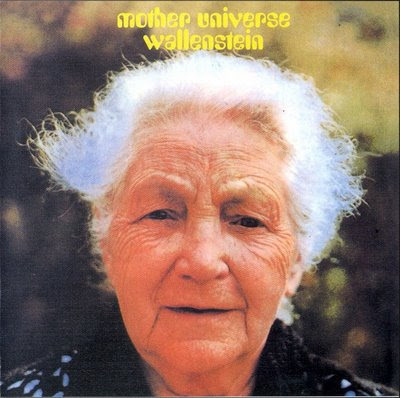 Mary Weiss was the main lead singer, Betty however took lead on "Maybe", and a number of B-sides and album tracks. One of The Ganser Twins took lead on "I'm Blue", which is a cover of the Ikettes biggest hit at the time, and was included on their 1965 album "Shangri-Las 65!". And one of the twins takes the lead on "Sophisticated Boom Boom" b-side of "Long Live Our Love". 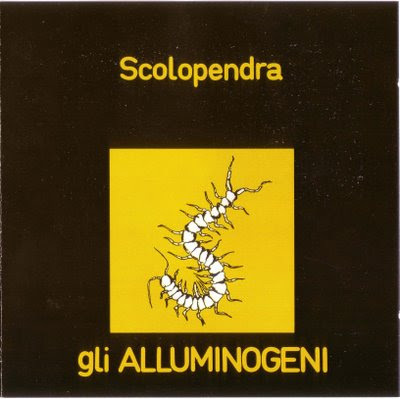 Here's an often overlooked gem from the Italian Seventies prog! The seven compositions on this debut album are a very dynamic and alternating blend of Sixties, blues, rock and classic featuring excellent work on the Hammond organ and also great Italian vocals and raw electric guitar. The one moment you are carried away by bombastic a church organ sound, the other there is a bluesy electric guitar or pleasant and warm Sixties atmosphere, VERY EXCITING! It really IS a masterpiece, and IMHO their best album, ex aequo with "Pamiec". Raw, progressive, fusion improvisations, heavy (sometimes they sound like early Sabbath) riffs, psychedelic guitar, incredibly thick drum parts and whirling moogs perfectly compiled with gentle piano parts by Jуzef Skrzek. 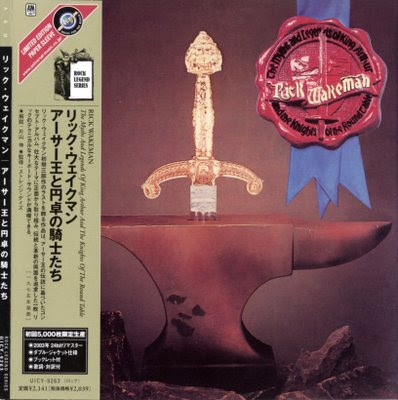 The general sound of the album reminds me of ELP's early tracks, such as "Tank", "Take a pebble", "Trilogy" etc. 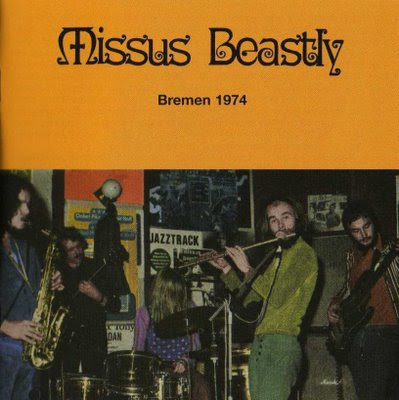 Silesian Blues Band emerged in 1971 in the Polish town of Siemianowice Slaskie as a trio led by Jуzef Skrzek, a young and promising bass player and pianist who by then had already had almost a year's experience with a blues band called Breakout. The initial line-up saw, apart from the group's leader, two individuals: Apostolis "Lakis" Anthimos (g), a 17-year-old Polish-born son of Greek immigrants, and Jerzy Piotrowski (dr). The dense schedule of rehearsals, regular gigs in the Silesia region and earliest radio sessions have all resulted in the band's winning substantial acclaim beyond their native region. By the end of 1971 Silesian Blues Band commenced their cooperation with Czeslaw Niemen: a group called Niemen was subsequently formed and was to last for more than eighteen months. They toured Europe (a famous appearance at the Rock and Jazz Now Festival, Munich) and Poland as well, releasing a total of four studio albums. The summer of 1973 saw the group's breakup as Czeslaw Niemen formed a new band Niemen Aerolit. 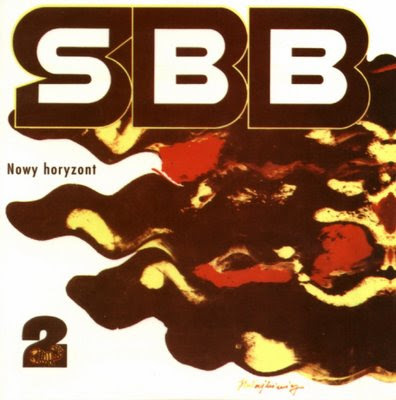 In the meantime, Silesian Blues Band was transfigured into SBB - the famous abbreviation was soon to be deciphered as "Seek, Break, Build", an idea ascribed to Franciszek Walicki, the group's early patron. 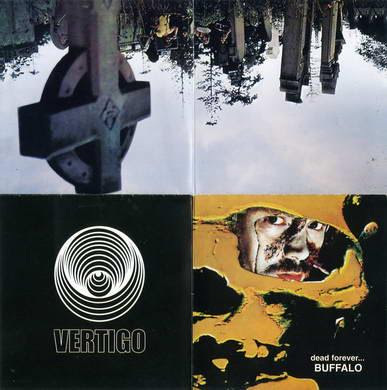 The band's first official release, which was a live album, was recorded on the 18th and 19th of April 1974, barely two months after the musicians' public debut as [SBB]. The first pressing - a true record in the history of Polish music industry - was immediately sold out (the asking price on the black market doubled twice). The album contained vivid and reckless music recalling Jimmy Hendrix and Cream, abounding with hectic guitar solos and distorted bass lines (one of the group's trademarks of that time! ), as well as quite a few lyrical piano pieces. The following months brought an overwhelming number of performances throughout Poland and other early east block countries; the band appeared regularly in East Germany, Czechoslovakia and Hungary. Along with numerous gigs a considerable number of radio sessions followed; recordings were initially made in the Polish Radio 3 studios in Warsaw, then in Opole. Out of these sessions SBB's second album, [NEW HORIZON], was compiled. Shortly after that two successive releases saw the daylight, namely [MEMORY] and [WITH A WORD IN HAND I RUN TO YOU]. Every new album was stylistically more and more distant from the unrestrained free-rock featured on the first record; instead, the band experimented with carefully-studied synthesizer-based musical pieces, quite expanded in their form, and indulged them in the lavish multi-track technique. Simultaneously, the group worked with other musicians during collaborative projects and concerts (Tomasz Stanko and Tomasz Szukalski - leading Polish jazzmen, Halina Frackowiak - a popular pop-rock singer, to mention only a few). In 1977 SBB eventually found a representative in the Western market (German company Aries from Gottingen). This resulted in launching a tour in West Germany, Denmark, Finland and other countries from behind the "steel curtain". In November 1977 the group recorded their first album that was intended to hit the Western market [FOLLOW MY DREAM]. The following year saw the release of [WELCOME] and the band touring constantly (a memorable appearance at the Roskilde Festival, Denmark). Fearing to neglect the Eastern public, the group went on to record further albums in East Germany and Czechoslovakia. An opportunity for the band's comeback came in July 1991 with the event called "Three Decades of Rock" organized in Sopot by Franciszek Walicki. However, this one-time mediocre gig did not trigger any further actions. The next time SBB were asked to perform live was in 1993 during a charity concert in Katowice. A decision was made to once again enlarge the personnel; subsequently, SBB turned into a quintet with Janusz Hryniewicz (voc, acc g) and Andrzej Rusek (gb) appearing as guests. The new line-up went on tour in 1993 and 1994 to eventually set off for a series of concerts in Polish-American clubs in the US. The tour ended up with a new MC release [LIVE IN AMERICA '94] and a final collapse of the band merged with Piotrowski's decision to stay in America. 1998 saw the bands yet another comeback, this time with Miroslaw Muzykant, a young drummer who had formerly appeared in Jozef Skrzek's various solo projects. The new line-up recorded three live albums that featured remakes of old material and one new track [QUITE CALM TIREDNESS]. Before too long the presence of Muzykant became debatable, especially after a number of musical disputes between Apostolis and him. Muzykant eventually quit after his final appearance with SBB at Waltrop in December 1999, thus leaving the band drummer less before their planned gig in Herzogenaurach, Germany (May 2000). An idea for his replacement came from Marek Komar, SBB's friend and fan, director of Pat Metheny's European Fan-club. This is how Paul Wertico (formerly Pat Metheny Group) joined SBB for the German gig and ultimately stayed. Thus the group entered the new millennium with a brand new intercontinental line-up. The spring tour of 2001 (Germany, Czech Republic, Poland) was truly commemorated Wertico's membership. During a short break between concerts the band recorded a few new tracks that later appeared on the EP [THE GOLDEN HARP] - Propast Studio, near Prague. More gigs followed and the new personnel have become stable enough to enter the studio and venture upon recording new material. This is how we saw the release of [MOODS] - the first studio album since 1980. The following two years were filled with regular though rare meetings and gigs; promotional actions were undertaken in order to promote [MOODS] as well as a number of archive materials (CDs: SOPOT '78, KARLSTAD '75, GOTTINGEN '77 and JAZZ JAMBOREE '79 - DVD). 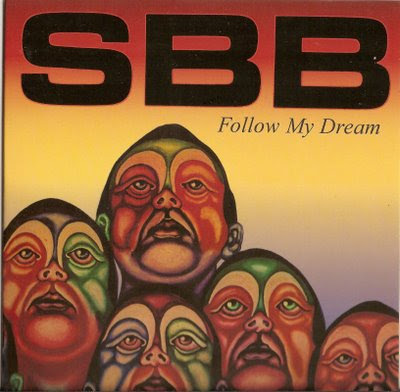 In May 2004 SBB once again hit the stage in Poland with a series of five enthusiastically-received gigs. The band's onstage energy promises a lot. The musicians wisely penetrate their past and pick up what is best in it in order to merge it with a bunch of new ideas and constantly seek, break and build... More gigs will soon follow. A new album is also underway, working title: [NEW CENTURY]. Salem Hill is headed up by guitarist/vocalist/primary writer/keyboardist Carl Groves. 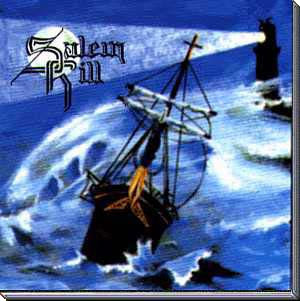 Influences can be heard (the usual culprits - particularly Pink Floyd, Kings X, Kansas, Rush, Yes, and Crimson) - but Salem Hill goes beyond their influences and definitely has a sound of their own. While there first 2 CDs can be said to be progressive or at least have progressive leanings, depending on how you evaluate such things (and in any case are very good in their own right), it's their later three that are most worth checking out. 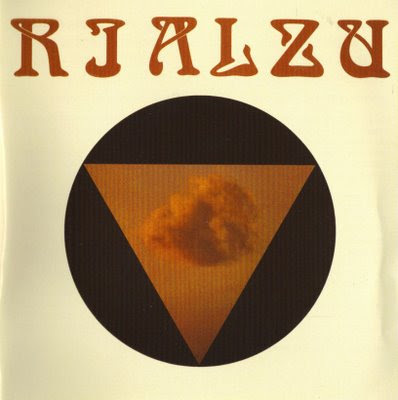 Corsican band Rialzu (Revival in Corsican) was formed in the early 1970's, released only one album, U Rigiru, in 1978, disappeared into oblivion only to be resurrected in 2008 with the reissue of their album by the Soleil Zeuhl label. The roots of Rialzu can be traced back to an initial meeting of 4 young musicians in Avignon, France at a Jesuit school, as guitarist Gilles Renne recalls in the booklet of the reissued album. Corsican organist Christophe Mac Daniel, his then drummer brother Francois and bassist Patrick Bataille were the three others who initially formed the not yet named Rialzu with its ever changing names. They would meet in the summer vacations in Corsica at the Mac Daniel's home to practice and perform. Their beginning was that of playing cover versions of bands such as Santana, Chicago and Pink Floyd, slowly shifting to more elaborate music by Genesis, King Crimson, Yes and Magma who would eventually, as Renne writes, be a major influence. I think that Hombre, Tierra y Alma is one of the most coherent and touching symphonic rock albums ever done in Spain. Absolutely a must. The spanish progressive of the 70's was strongly influenced by the jazz, flamenco and hard rock, and Bloque was one of the bands that played a purest symphonic rock. Is this why is one of my favourites? In 1999 they released a new CD, recorded live with old themes and some others previously unrelseased.